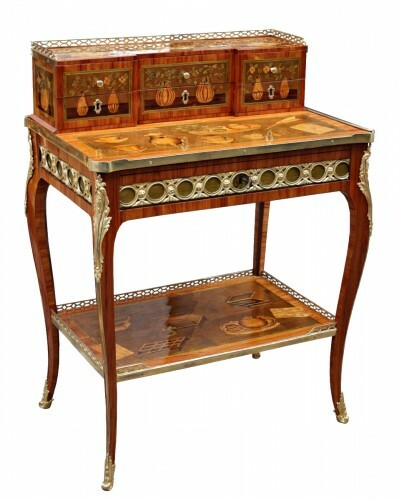 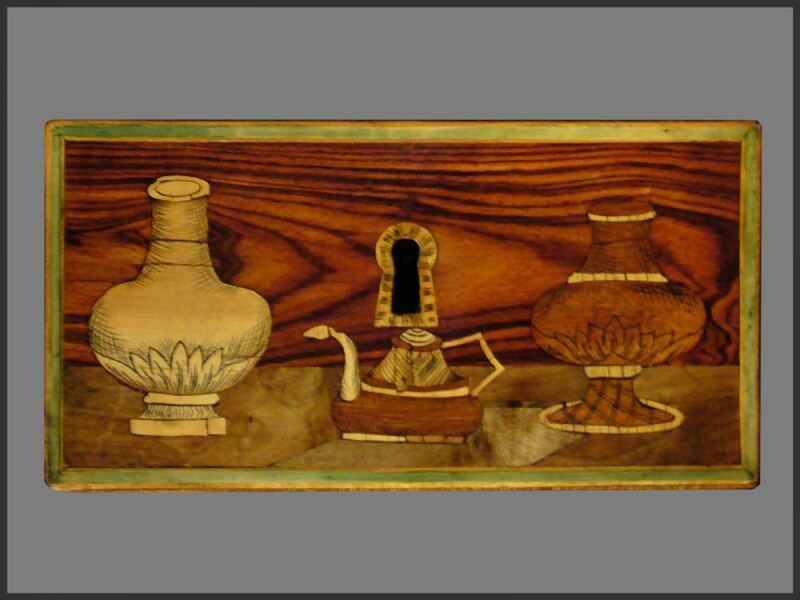 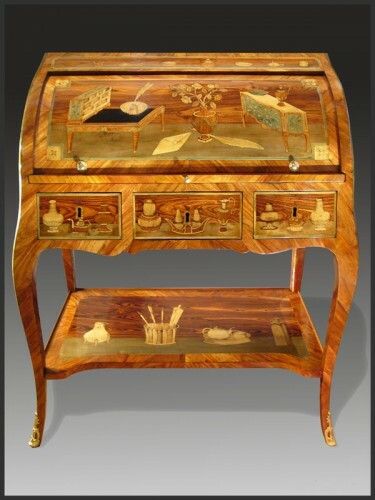 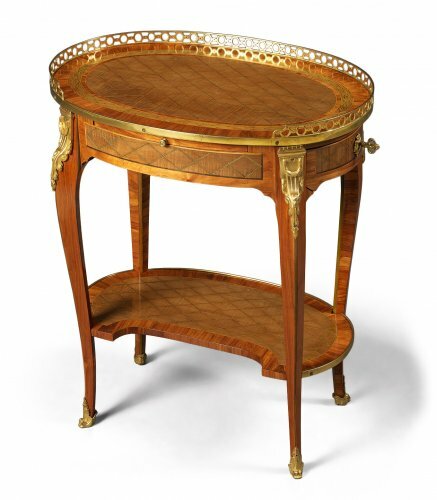 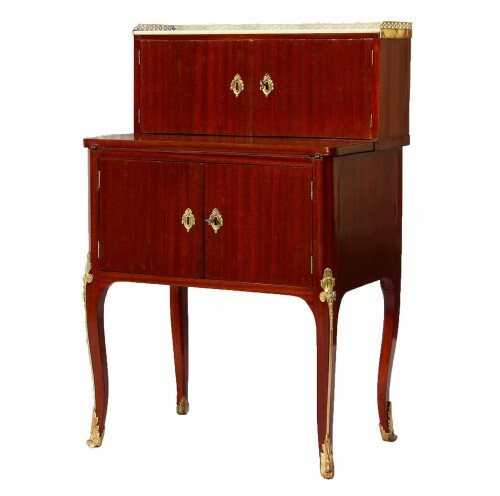 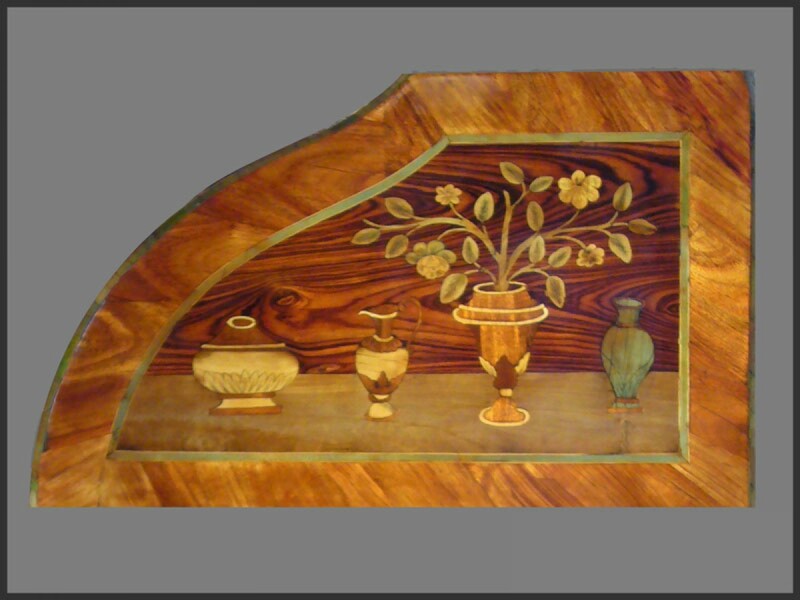 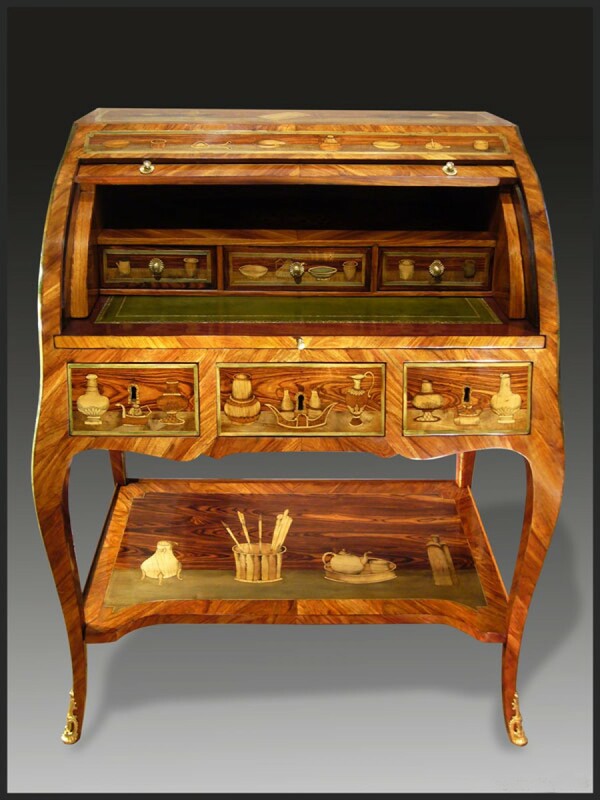 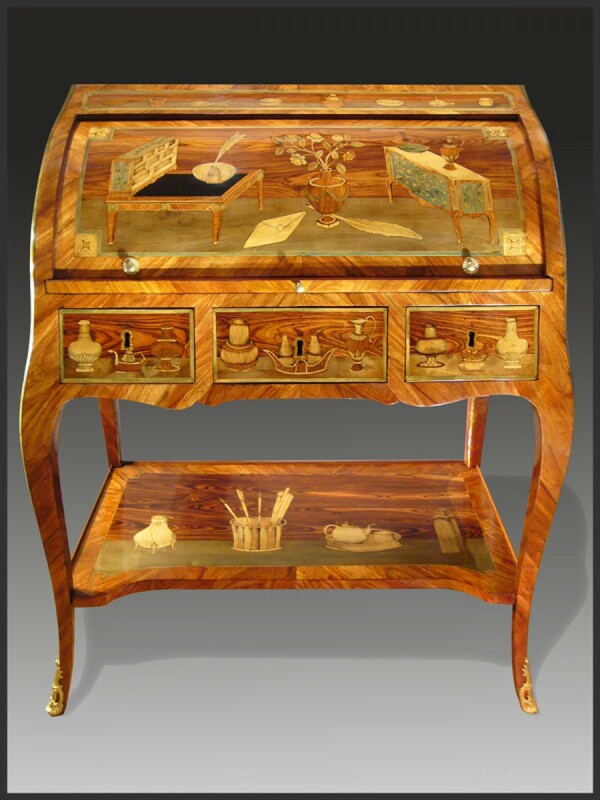 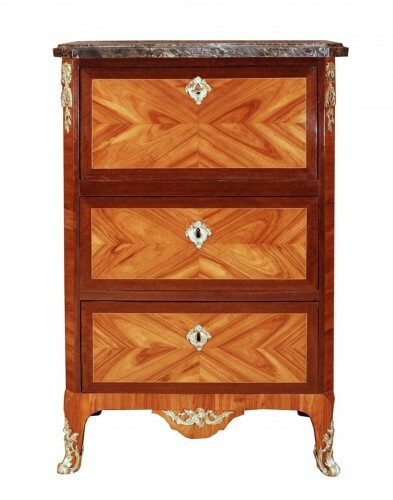 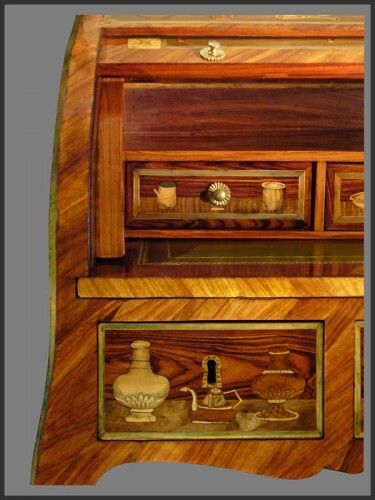 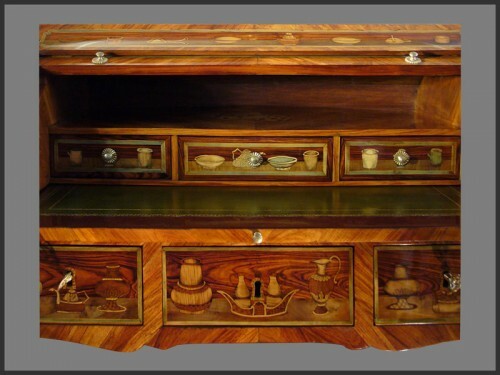 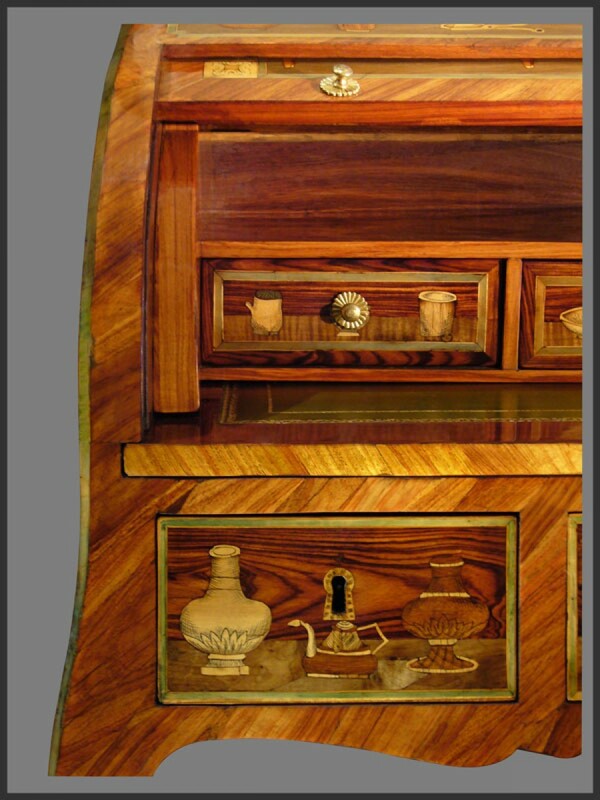 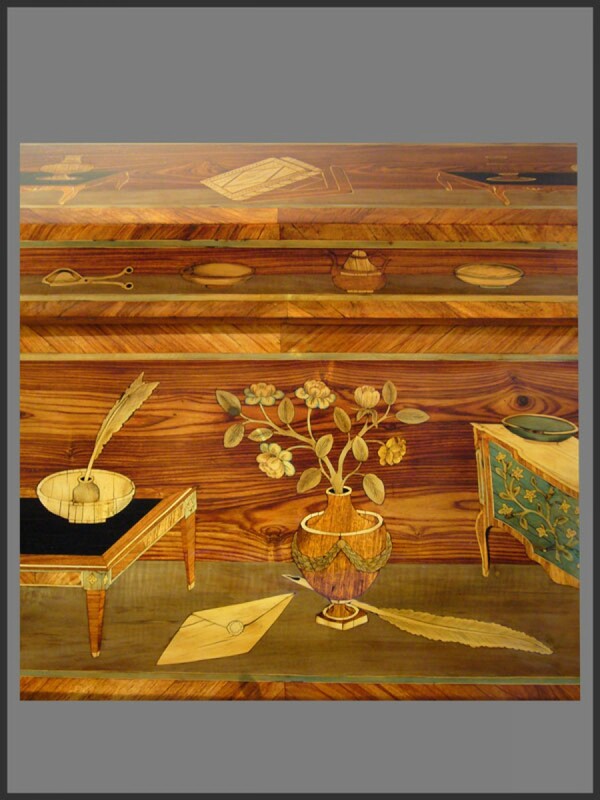 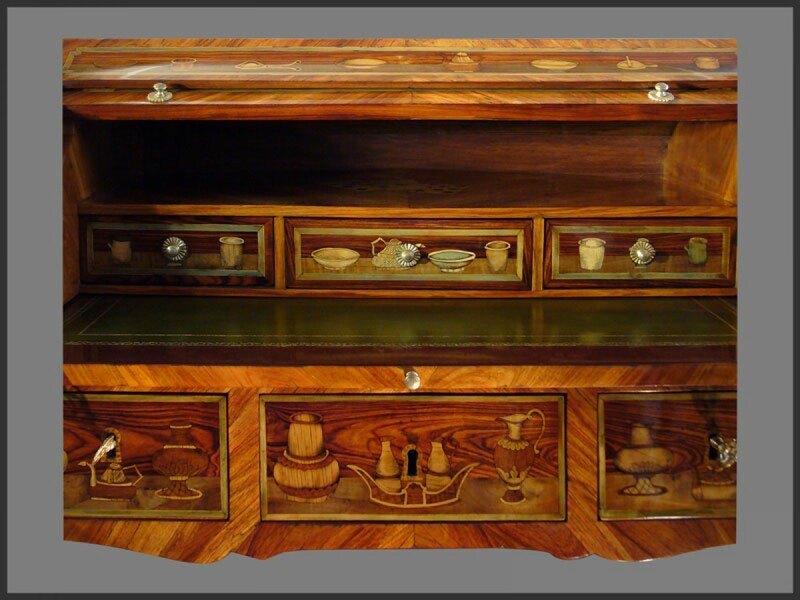 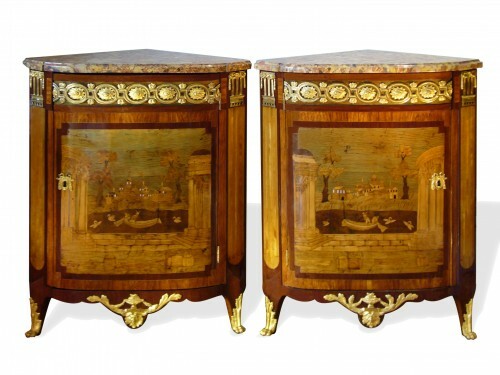 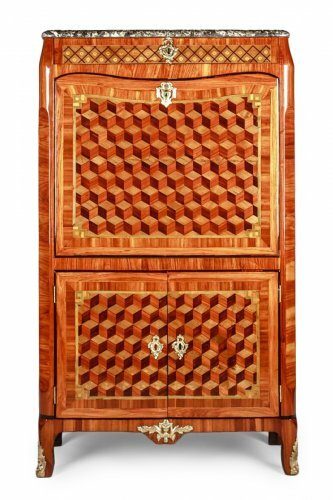 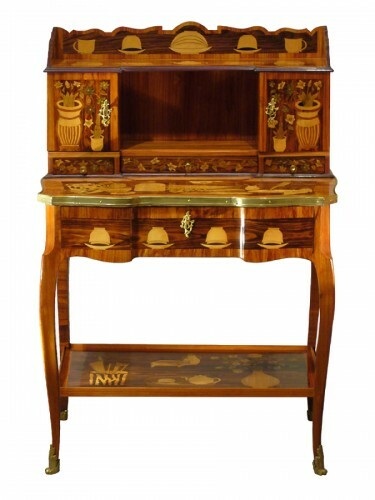 A French Rosewood, Kingwood, Sycamore, ‘Aux ustensiles’ marquetry Bureau à cylindre. 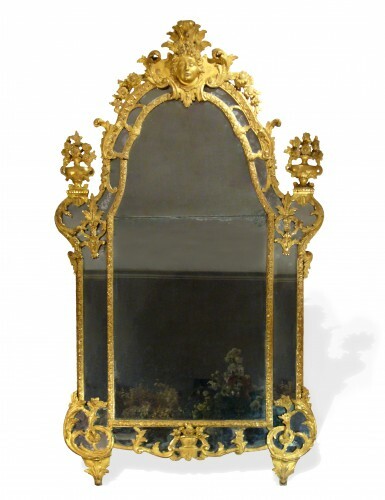 By pierre ROUSSEL, PARIS, mid 18th century. 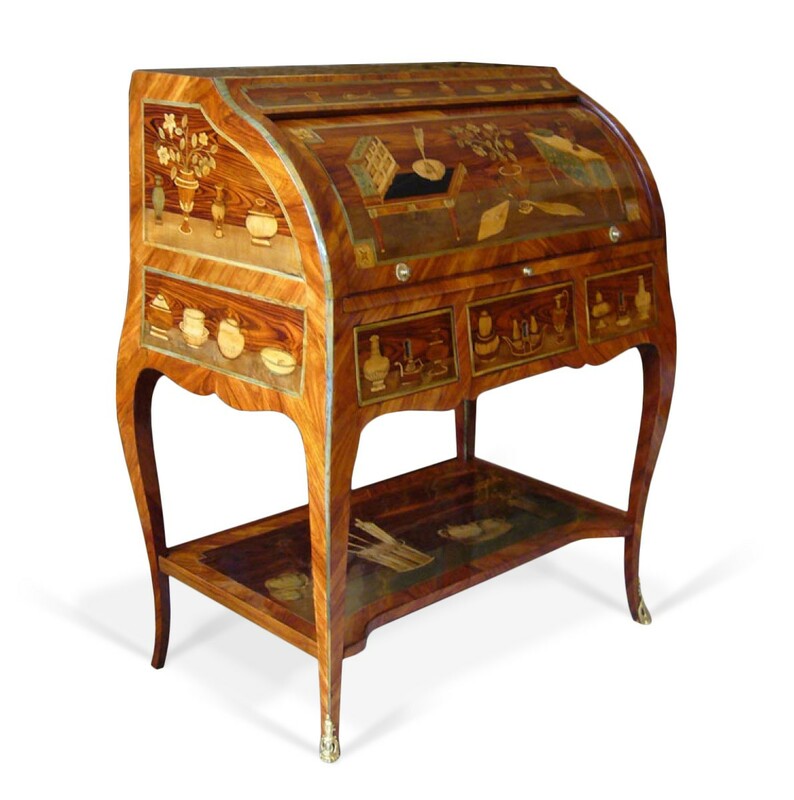 The rectangular top, above a cylinder roll-top, the interior fitted with three drawers and one pigeon hole above a retractable writing slide fitted with a green leather surface, on six facetted cabriole legs stamped Pierre ROUSSEL.